South India is dotted with waterfalls, greenery, rushing rapids, exotic flora and fauna and so much more! There’s so much to explore, experience and enjoy! 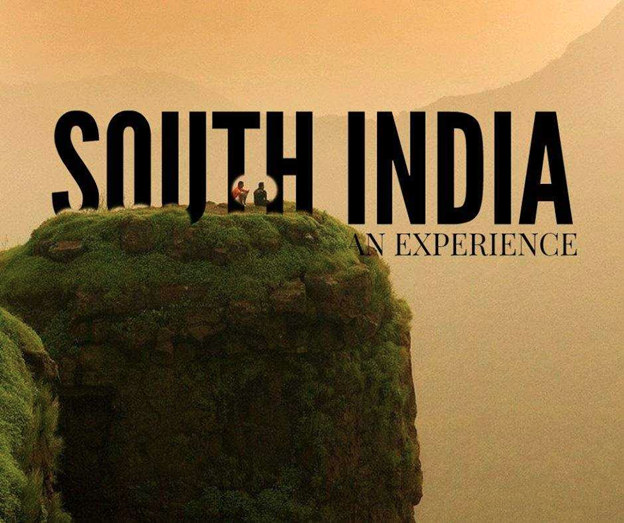 So, join us and take a virtual tour of places you MUST visit in South India. Here are 30 of the most prepossessing places we’ve listed out for you! Paragliding is an invigorating sport that offers you a combination of stimulating and a rejuvenating experience that feels like you’ve spread your wings all set to fly! 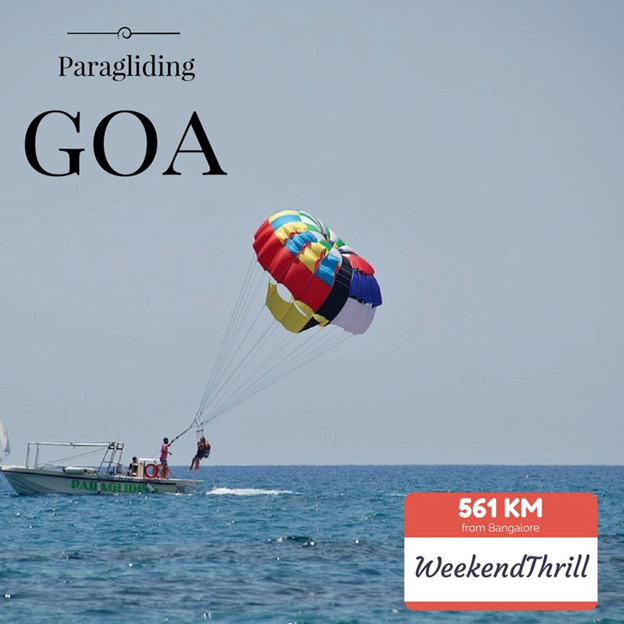 This could be your perfect chance to escape the hustle of everyday life and go for this refreshing experience paragliding at Goa. This experience includes the panoramic views at Goa, cool breeze while soaring through the sky and a hint of lush greenery all around you! The Coracle is a bowl-shaped boat made with watertight material like reed, hide, etc. 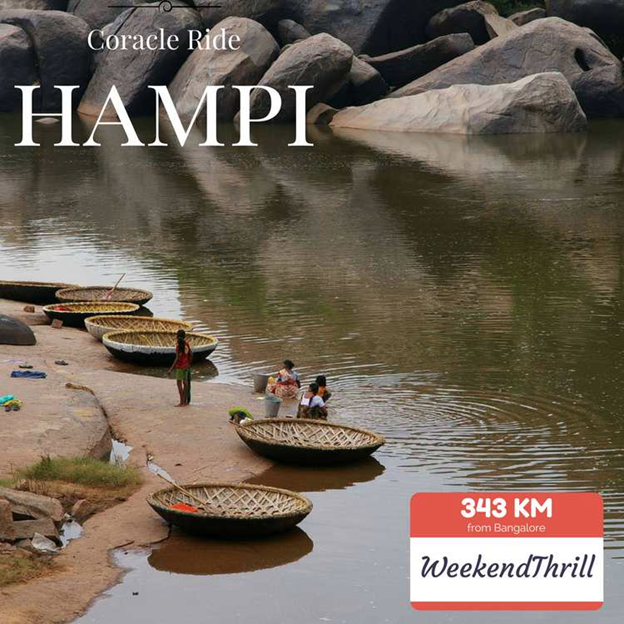 The Tungabhadra river flowing through Hampi offers the best view for coracle rides. Paddy fields on one side and monuments on the other, sets a very tranquil mood around you for you to explore and soothe your mind. 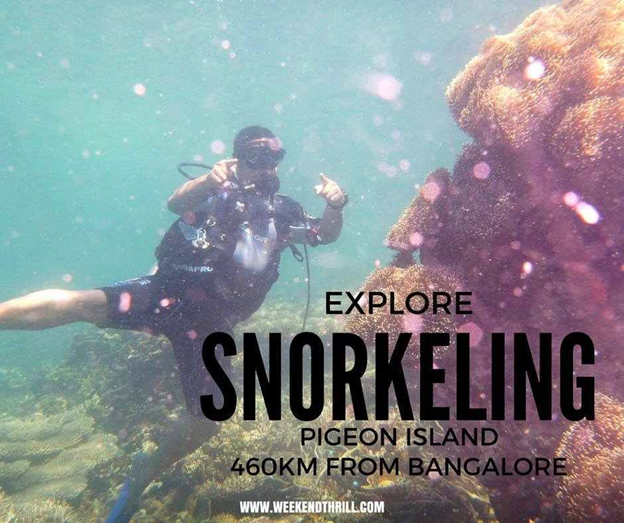 The snorkeling experience at Pigeon Island (Netrani Island) is like no other, the underwater experience is a mesmerizing one. The pristine water, the rocks and you amidst all this instead of your work desk sounds like the best getaway! So, join us to snorkel and dive deep into the pristine depths of the waters of Pigeon Island. 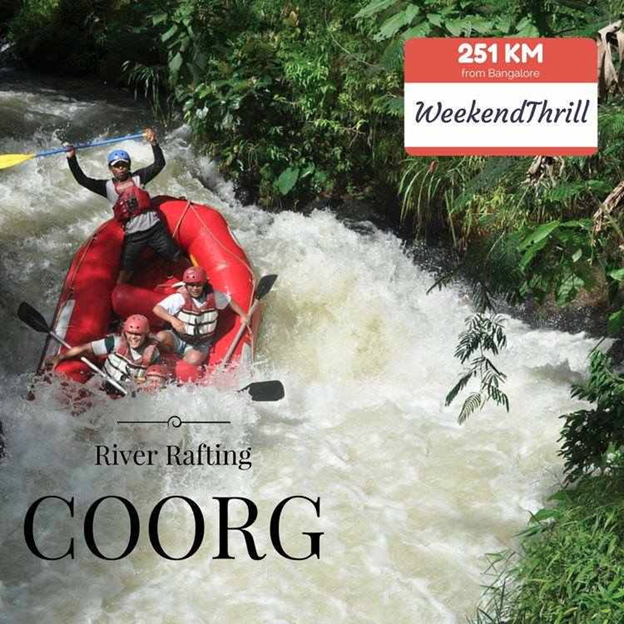 Considered one of the richest of river rafting places in all of South India, Coorg is the perfect destination for you whether you like being on the peaceful riverside or the exciting raft! Brace yourself for the tranquil yet gripping experience! Book your Coorg river rafting trip here! Amidst the waves and ripples you will see yourself having fun while gaining fresh experiences at the Malpe Beach, Udupi. This refreshing experience will open doors to your wanderlust and bring out your adventurous side! 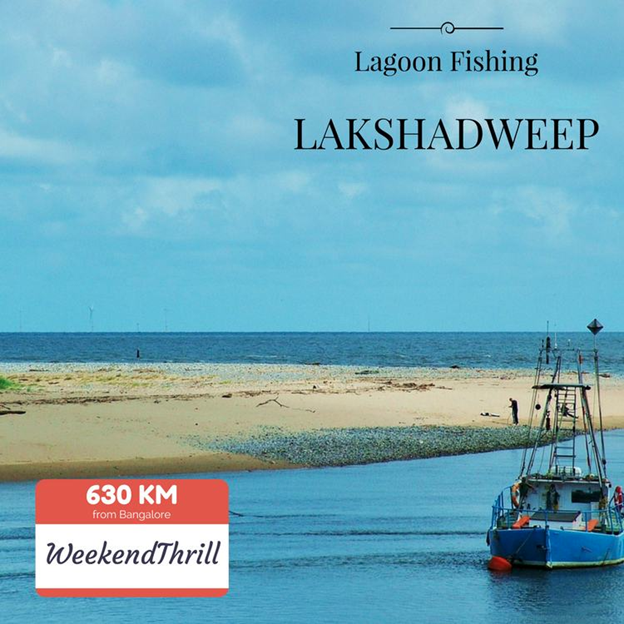 If you enjoy fishing on a weekend then what better than lagoon fishing at Lakshadweep! What better when you can admire the beauty of blue lagoons and green trees on one side and do what you love on the other! This experience at Lakshadweep is like no other filled with the beauty of its endemic creatures! 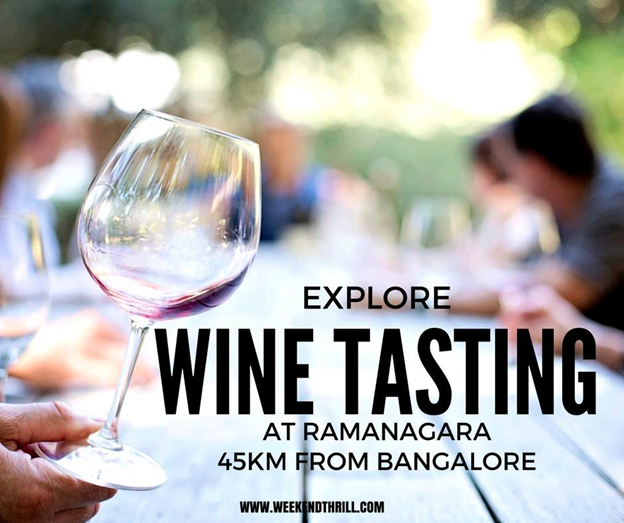 Explore the enticing vineyards at Ramanagara where you can appreciate and witness the art of wine making amidst the vineyards! Tasting different kinds of wines alongside delicious lunch is the perfect idea of a perfect day out! Book your camping trip to Ramanagara here! 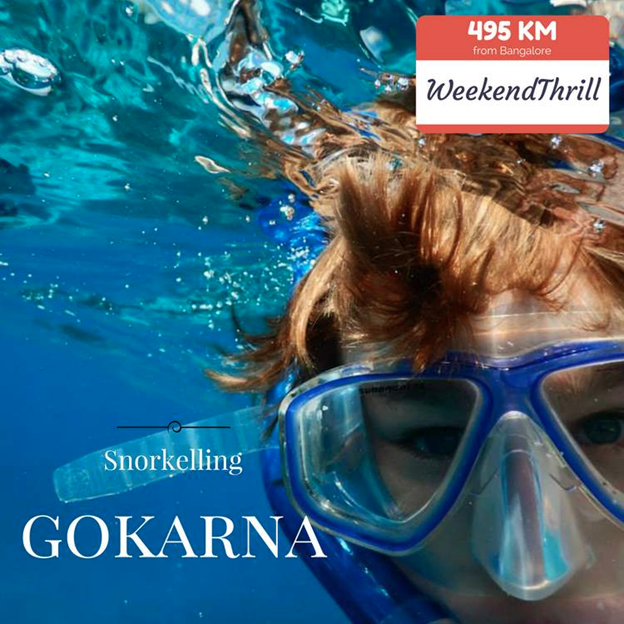 To snorkel is to swim in a waterbody while equipped with a mask. This is a truly refreshing and rejuvenating experience that one must try in one’s lifetime! To swim and explore the unique water creatures and while ships float above your head, it’s definitely worth a try! Book your Gokarna beach trek trip here! 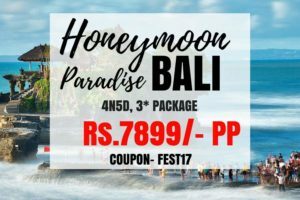 Thick jungles, enticing waterfalls and majestic waves are what one wants to be surrounded by on an ideal adventurous holiday! And Bheemeshwari is the perfect location for all of the above. 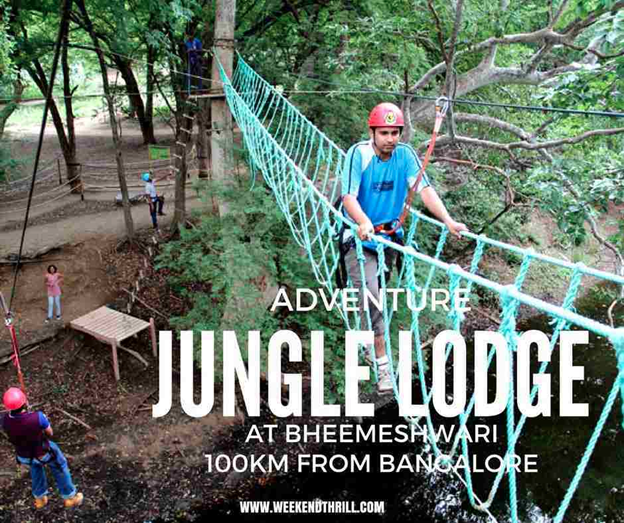 Only 100 KMs away from Bangalore this beautiful place is worth a visit! 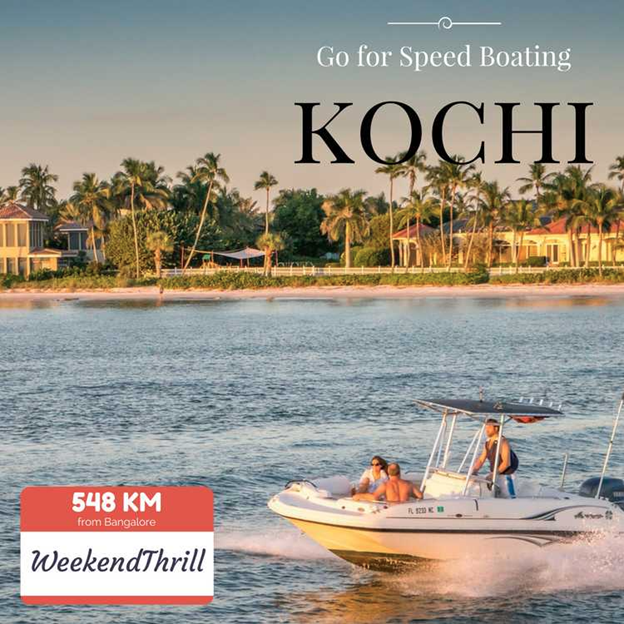 A Kerala trip without a rejuvenating boat ride in its rippling waters is incomplete, and a speed boat makes it all the more exciting! 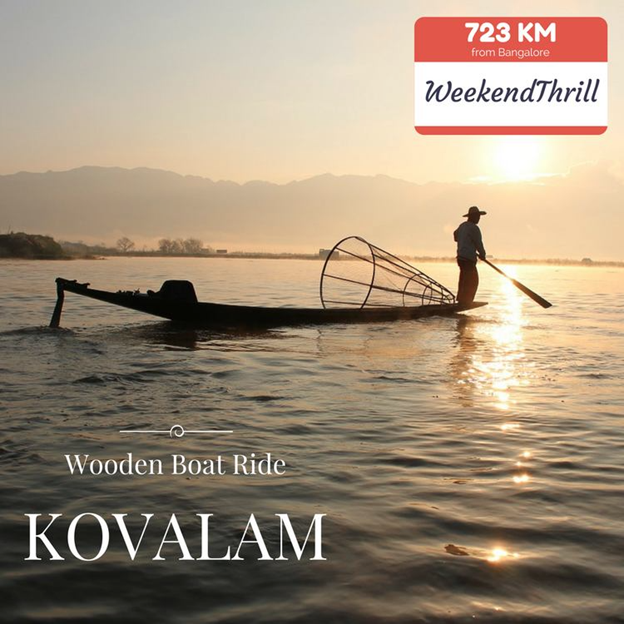 This is a refreshing experience that lets you relish the beauty of Kochi while you sit back and enjoy your boat ride! Book your Kerala tour package here! Pigeon Island in Murudeshwar is like another world altogether, a world of dreams! And to scuba dive into this underwater world is an ecstatic experience. 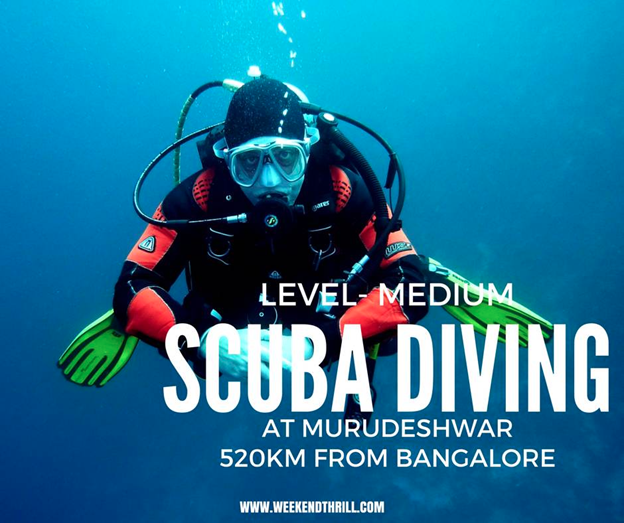 Join us to scuba dive into another world forgetting all your work and worries. Pamper yourself at Murudeshwar! 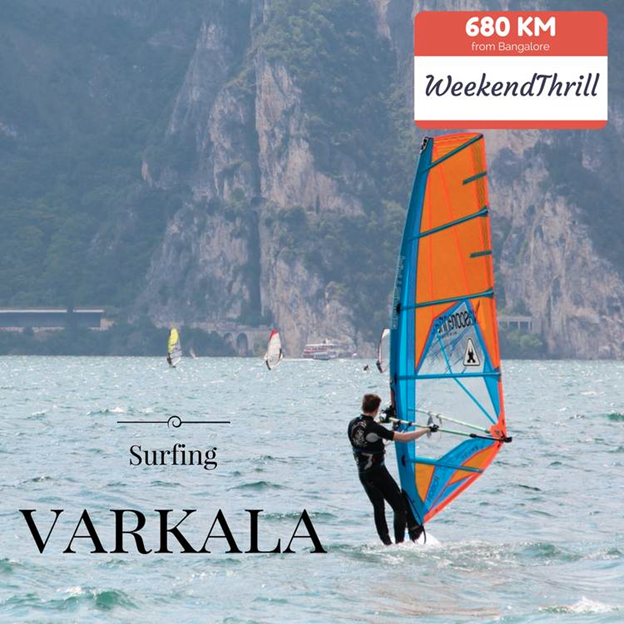 Varkala in Kerala is one of the most visited spot for surfing and so many other water sports! Papanasham Beach is known as the surfer’s paradise and is nothing different from what it’s called. You can have the time of your life while gaining this amazing experience! Dandeli is an ideal vacay destination for nature lovers as it offers an inexplicable blend of endless beauty and adventure! White water rafting as we call it, is one of the most exciting water sports and is offered in Dandeli, which is surrounded by ample water bodies and deciduous forests. So why wait? Join us and let the adventure begin! Kerala is very well known for its one of a kind boat houses and boat rides, Kovalam in Kerala is a peaceful place with its unique wooden catamaran boats which are rowed by experienced fishermen. The tranquil vicinity, water under you and sunshine above you is the perfect idea of a perfect boat ride! 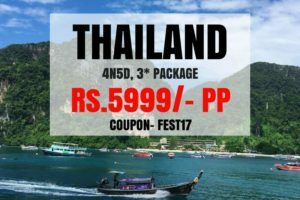 Book you Kerala tour package here! 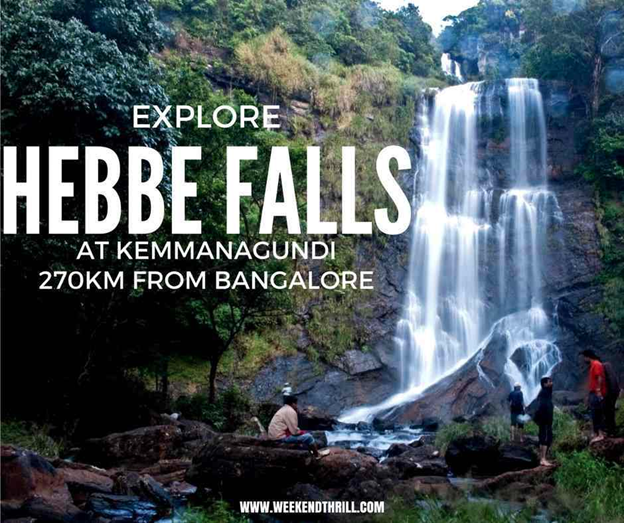 Hebbe falls is one of the most exotic waterfalls in Chikmagalur district of Karnataka which is located in the Kemmanagundi hill station. It is not only one of the most picturesque places in south India but also the water has healing properties due to the presence of some medicinal herbs, this attracts a lot of tourists and is definitely worth paying a visit! Tadiandamol is one of the most beautiful and the highest peak in the Coorg district with an elevation of 5740 ft. The trail takes you through the Shola forests covering the green grasslands and the rushing streams around! This trek is done during the day which makes it doable for both beginners and pro-trekkers. 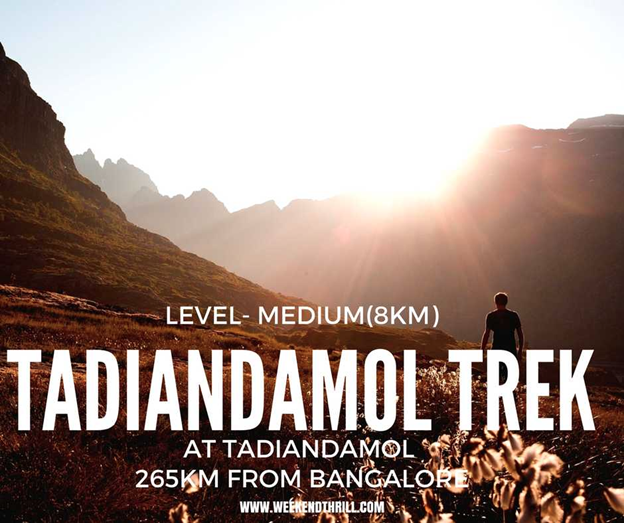 So, put an end to the wait and come trek with us at Tadiandamol! 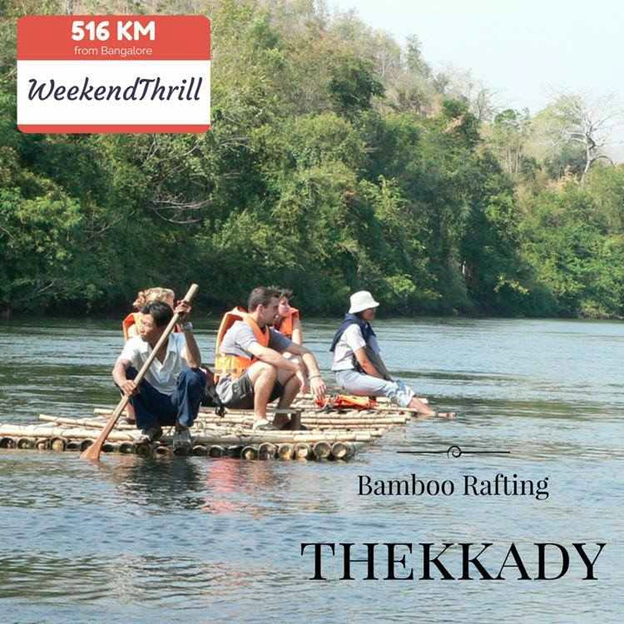 Bamboo Rafting through dense forests of Kerala sounds like the perfect plan for all nature lovers to spend some quality time in the lap of mother nature and you all must try this! Thekkady of Periyar National Park is an important tourist attraction with its hills, elephants and spice plantations! 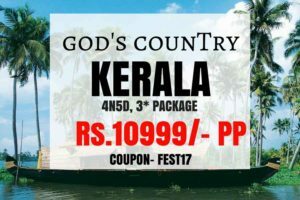 Book your Kerala trip package here! 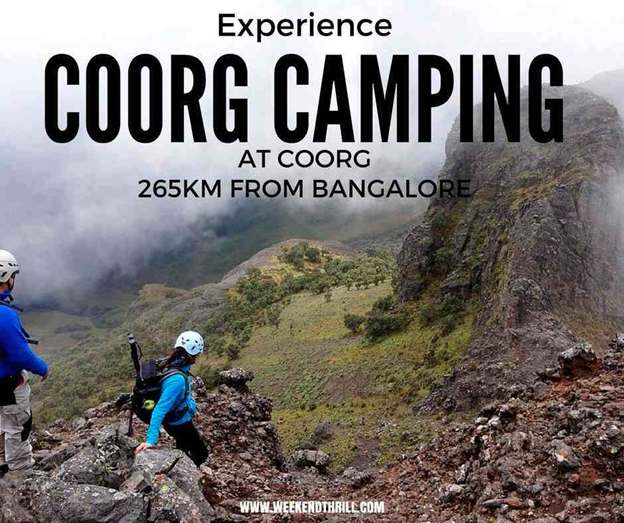 Discover the beauty of this bewitching place by spending your vacation, camping at Coorg! Set amidst heavenly beauty Coorg offers exciting outdoors to explore and have fun! This activates your adventure mode and lets you relish the experience, completely! 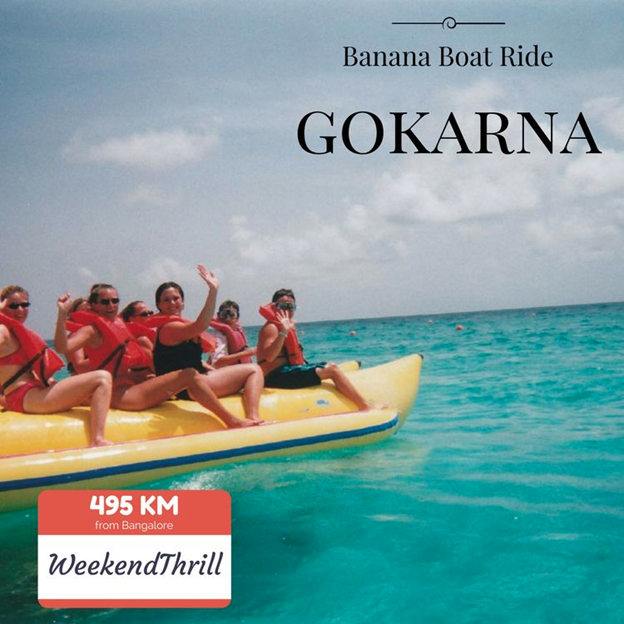 Hop onto a banana boat for a blend of pure excitement, joy and fun! As Gokarna offers an excellent location for several water activities, banana boat rides are a must try. It is a casual water activity that can be done by all, safe but adventurous- more like perfect! A splendid weekend getaway to escape into a world of dreams, stars and peace. 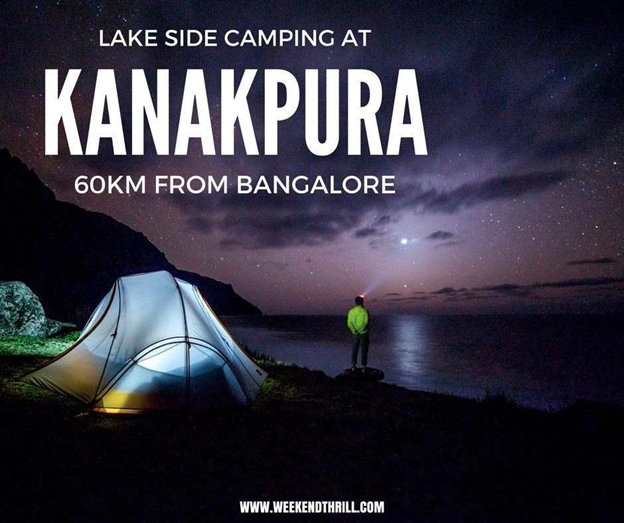 Kanakpura, about 60 Kms away from Bangalore makes an excellent location for camping right by the pristine Hosadoddi lake which facilitates canoeing and other water activities. So, what are we waiting for? 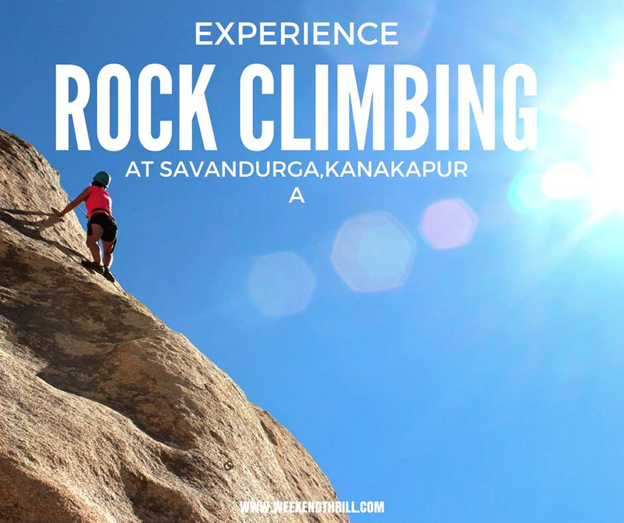 Savandurga and Kanakapura are only an hour away from each other and make perfect spots for rock climbing and other adventure activities! Rock climbing is an escapade testing your limits, strength and stamina, so brace yourself to have fun and make some adventurous memories! 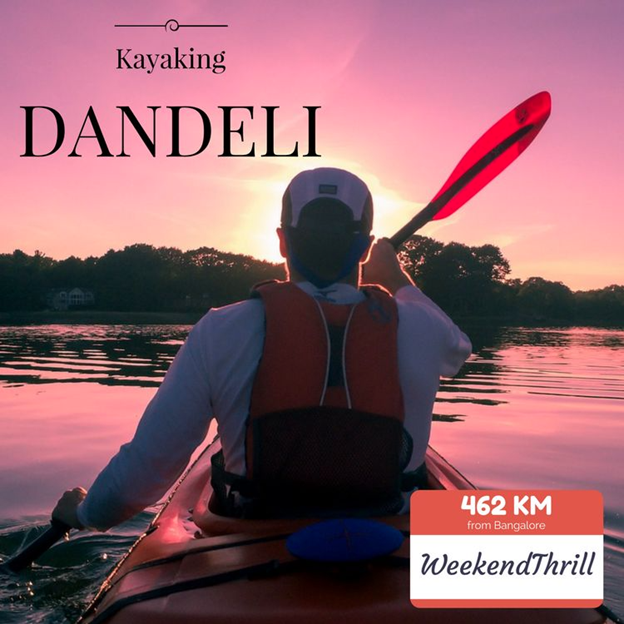 Kayaking is using a double blade paddle to row the boat and is a very fresh experience available at Dandeli! 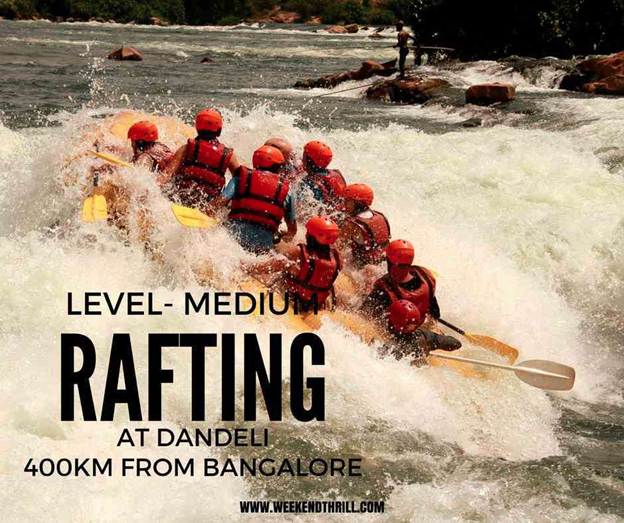 For all the water lovers, rushing rapids and white waters are waiting for you to come kayak at Dandeli! So, why wait? Join us in the adventure. Book your trip to Dandeli here! Listen to the tale recited by caves, ancient rocks and temples while exploring caves at Anthargange. With numerous volcanic formations, Anthargange is blessed with ancient beauty like the saying old is gold! The caves are of various sizes, some so small that you can’t even enter! 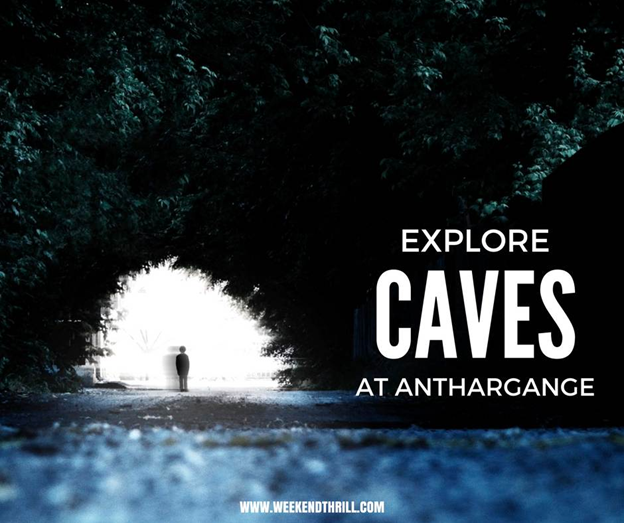 Book your cave exploration trip to Anthargange here! 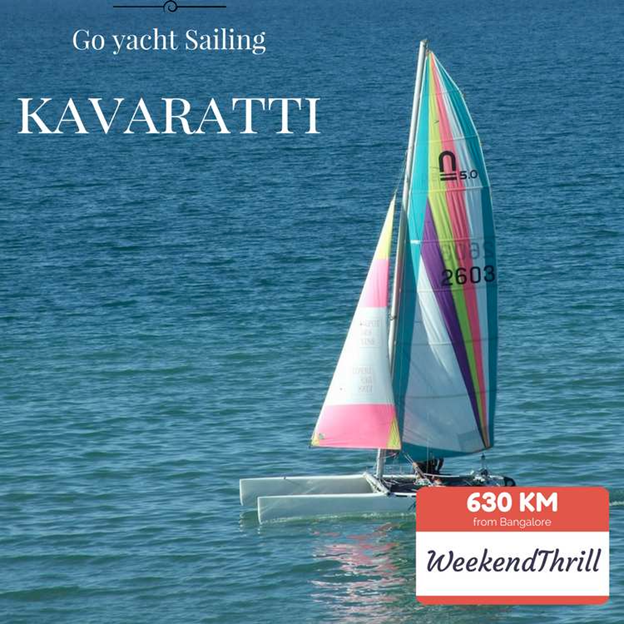 Being the most developed island in Lakshadweep, Kavaratti is the hub for yacht sailing and other exciting ways to explore nature! Relish the underwater world and lose yourself in the beauty of Lakshadweep! 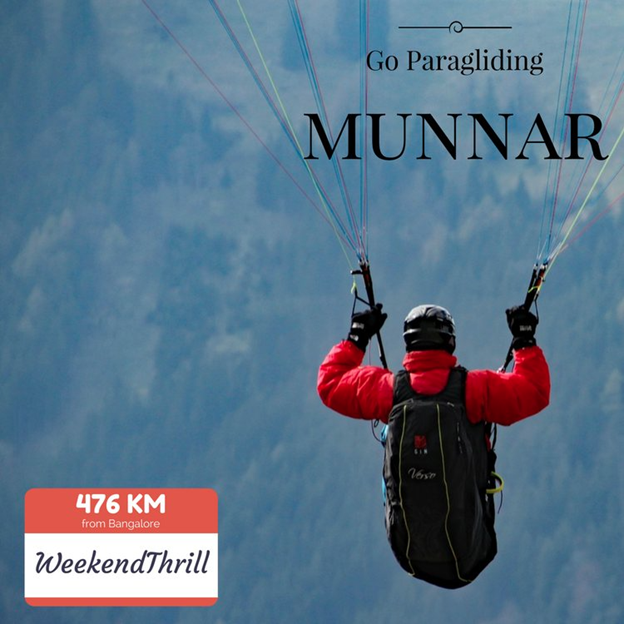 Glide across the majestic skies of Munnar and feast your eyes with the most prepossessing sights ever! Nature, clear skies and mountains, who doesn’t want to be at Munnar? It makes a great holiday spot and an even great paragliding spot. So, why are you waiting? Set off on a wildlife safari to explore the exotic flora and fauna of Wayanad! 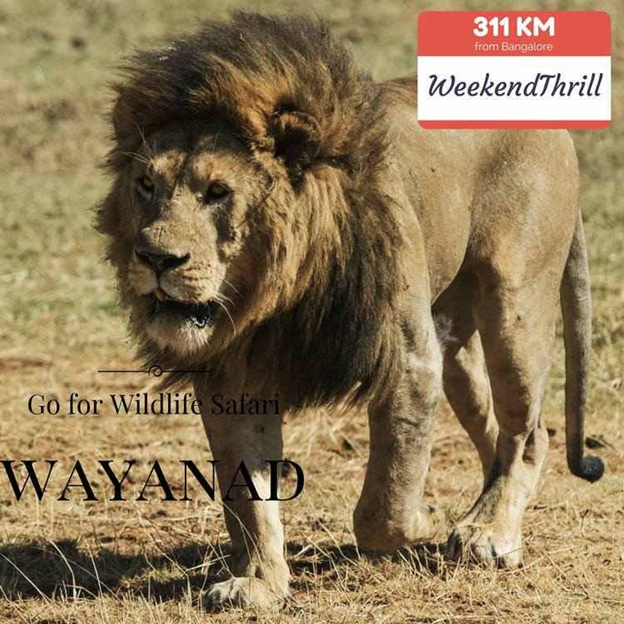 Spread over 344 Kms, this safari can feast your eyes with various wildlife in the untamed land of Wayanad. The thick greenery and blue skies make it all the more worth paying a visit! Shidlaphadi caves are natural ancient caves with different shapes and sizes of rocks making it look intriguing! Rock climbing is a fascinating escapade testing your limits and stamina. So, brace yourself to have fun and make some adventurous memories! 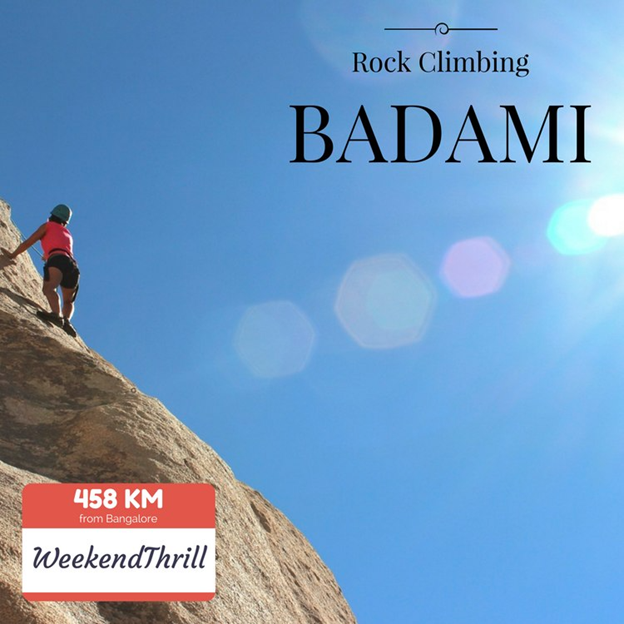 Book your rock climbing trip to Badami here! The Nishani-Motte trail takes you through the thick forests covering the lush green grasslands! This trek is done during the day which makes it doable for both beginners and pro-trekkers. So, put an end to the wait and come trek with us! 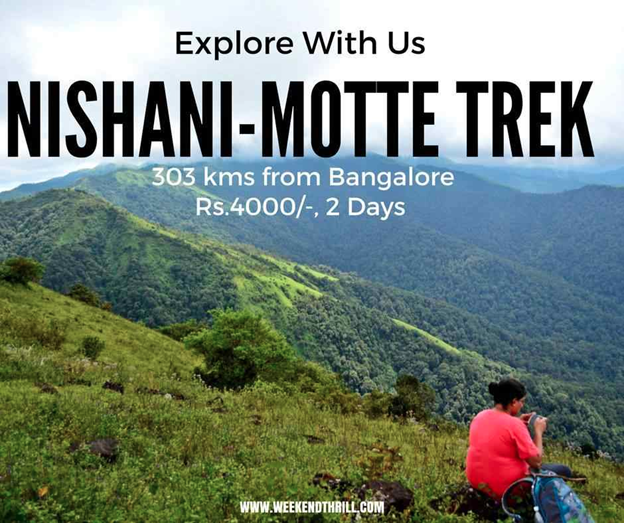 Book your Nishani-Motte trek here! Kudremukh is the pride of western ghats and is one of the most enthralling treks in south India. The trail gives you a sight of overflowing streams, scenic landscapes and lush greenery! At an elevation 1892 mts this trek feasts your eyes with sights that no other trek can boast of! 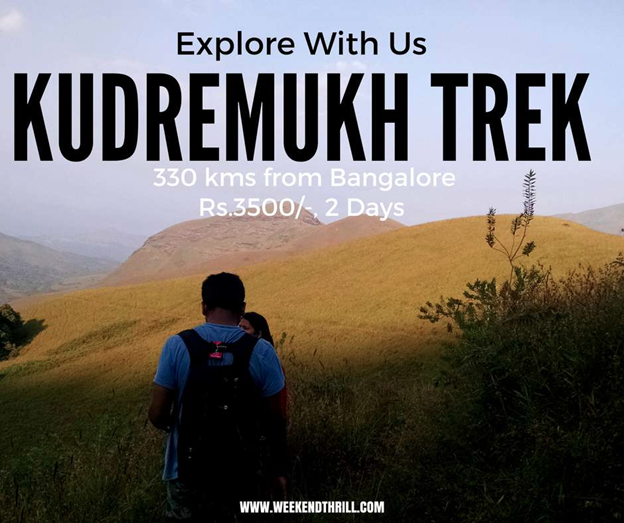 Book your Kudremukh trek here! 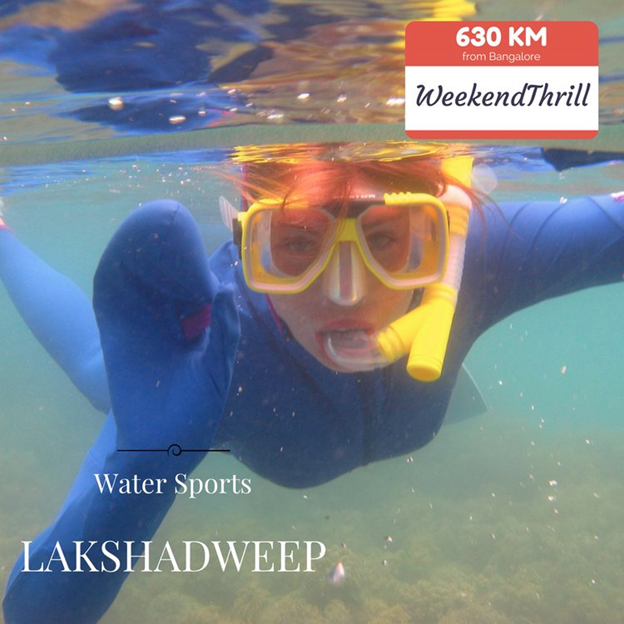 The vast expanses of the blue lagoons in Lakshadweep facilitate numerous water activities like scuba diving, surfing, lagoon fishing, boating, yachting, canoeing, snorkeling and a lot more! Nature enthusiasts can also feast their eyes with marine creatures, exotic plants and coral reefs!